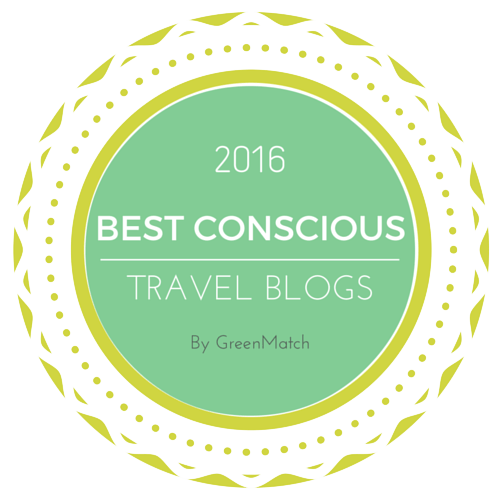 Possibly the best thing about writing a blog is using it to shame other people into doing what I want. My brother is, in many ways, the best big brother one could hope for, but his response to my veganism has been slightly patchy. To begin with he announced that he was never inviting me round for dinner again, but this has since been redacted. Now he has declared himself willing to go to a meat-free eatery for my birthday, and did in fact host me for Friday fizz and nibbles recently (along with a showing of his official wedding photos, which were simply brilliant. Can I publicly shame him into having a second wedding? Do it, mon frere!). He immediately apologised for only having crisps to offer me, not knowing what else I could eat. Crisps are, obviously, a delight, but he completely overlooked the simplicity of hummus. And for future reference, patatas bravas are not only delicious, but entirely free of animal products. 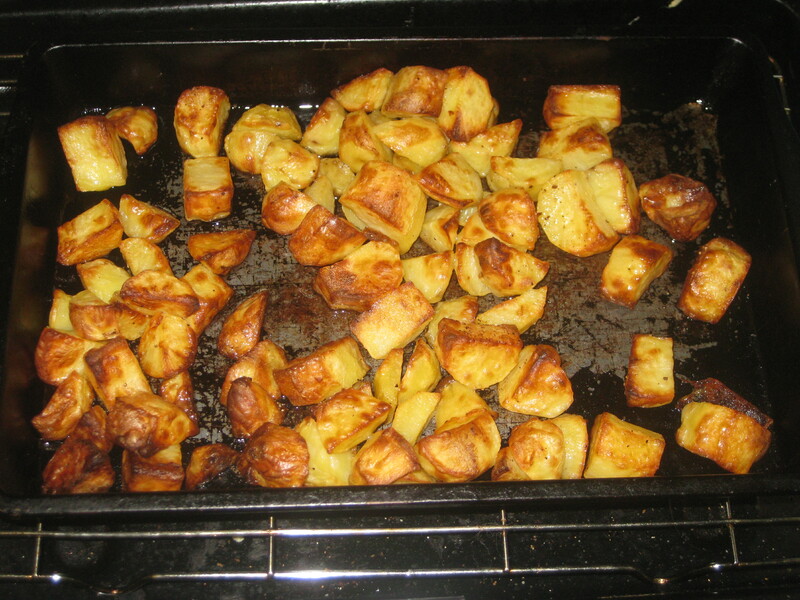 And if you don’t work on Friday, you have plenty of time to roast the potatoes. Hint hint. 1. Preheat the oven to 200C. 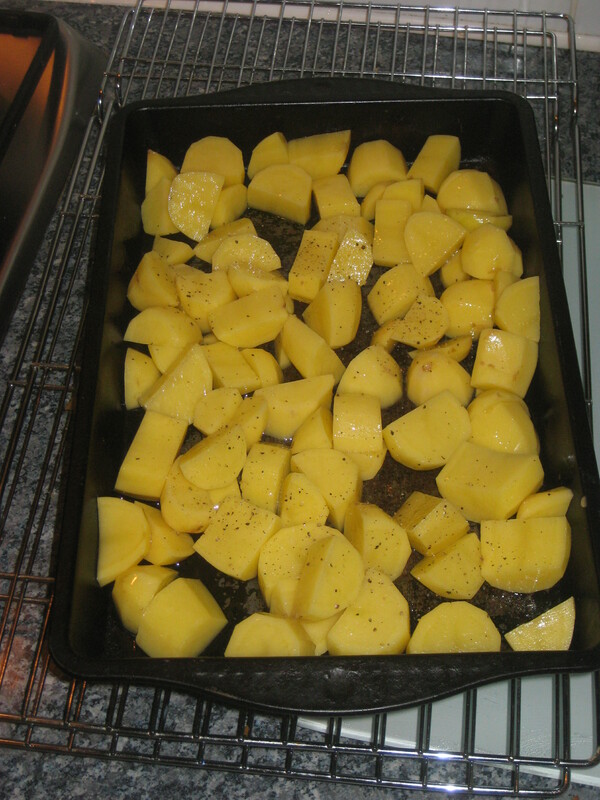 Put the potatoes in a roasting tin, toss with the oil and season. 2. Roast for 40-50 minutes. 3. 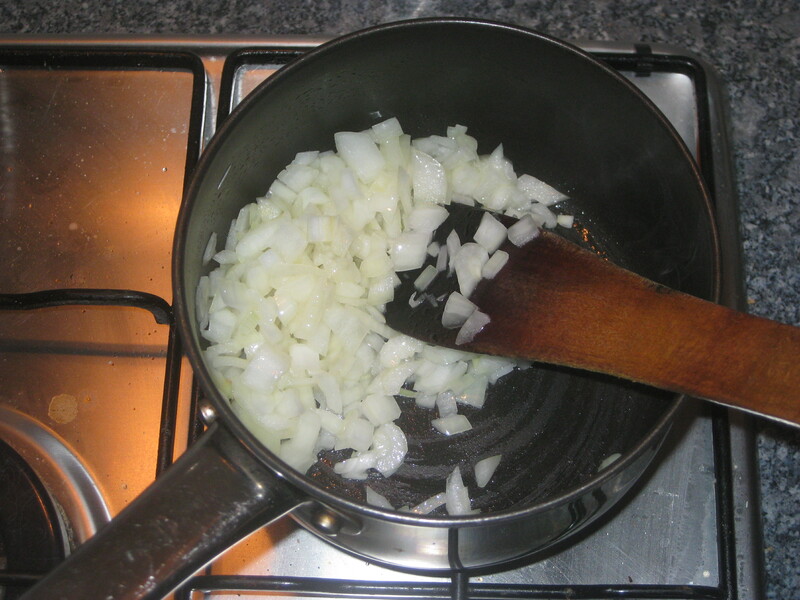 While the potatoes are roasting, start on the sauce: heat the oil in a pan and fry the onion for 5 minutes. 4. 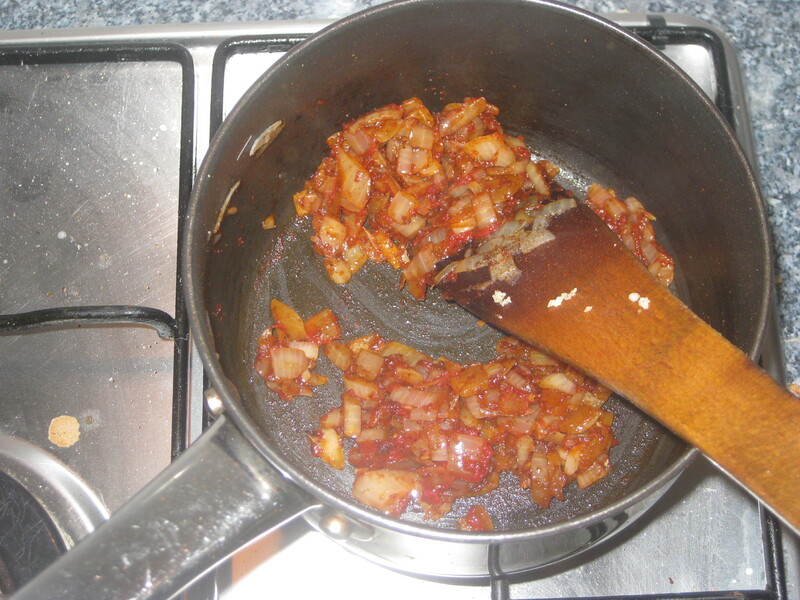 Add the garlic, spices, sugar and tomato puree and fry for another minute or two. 5. 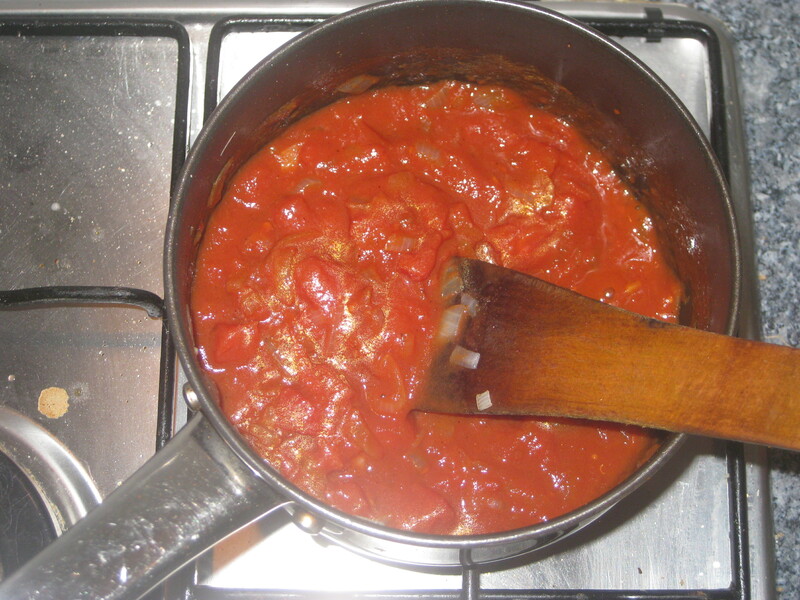 Tip in the tomatoes, bring to the boil and simmer for about 10 minutes. 6. Put the potatoes into a dish, pour over the sauce and sprinkle with parsley. 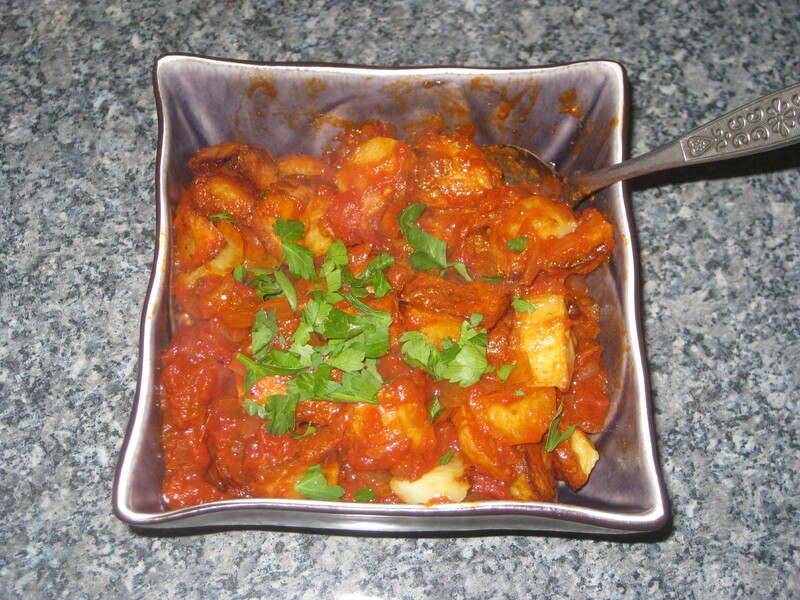 This entry was posted in Vegan Recipes and tagged patatas bravas, vegan tapas. Bookmark the permalink.